Please note that contributed articles, blog entries, and comments posted on AECcafe.com are the views and opinion of the author and do not necessarily represent the views and opinions of the management and staff of Internet Business Systems and its subsidiary web-sites. Each AEC Weekly Review delivers to its readers news concerning the latest developments in the AEC industry, AEC product and company news, featured downloads, customer wins, and coming events, along with a selection of other articles that we feel you might find interesting. Brought to you by AECCafe.com. If we miss a story or subject that you feel deserves to be included, or you just want to suggest a future topic, please contact us! Questions? Feedback? Click here. Thank you! AECWeekly examines select top news each week, picks out worthwhile reading from around the web, and special interest items you might not find elsewhere. This issue will feature Industry News, Top News of the Week, Acquisitions/Agreements/Alliances, Announcements, Awards, New Products, and Upcoming Events. Project information management (PIM) joins the ranks of acronymed solutions available for managing the large volume of disparate information critical to architectural and engineering projects. 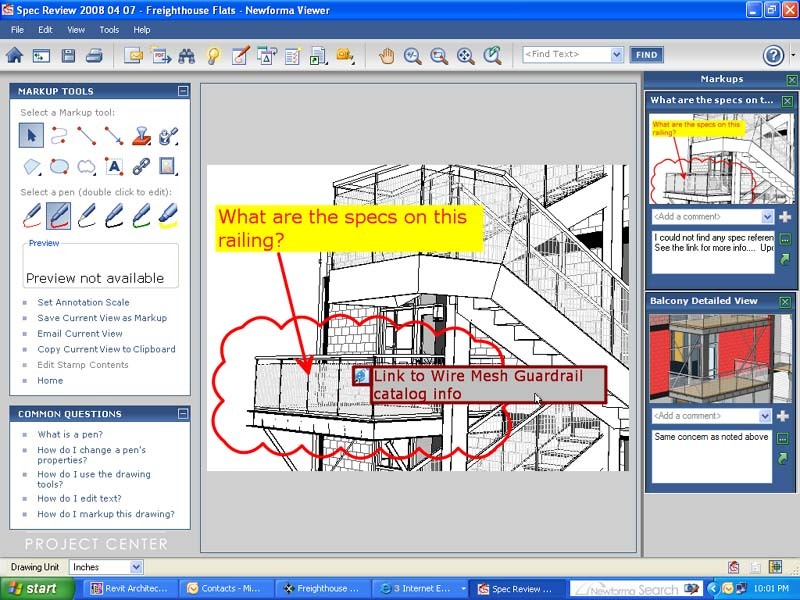 A view of the BIM captured via the Newforma Snapshot tool and marked up to communicate a design review action item via a Markup Session. Noteworthy in that category is Newforma Project Center Fifth Edition project information management solution from Newforma. In a conversation with Ian Howell, CEO and vice president of product management Bob Batcheler, features of the new release were discussed. Newforma’s support for the contract administration (CA) phase, which expands the ways in which external team members can collaborate via Newforma Info Exchange, introduces new and unique capabilities for project monitoring. The Fourth Edition was known for its email management, search and transmittals management which Fifth Edition builds upon. The core mission of Newforma has been to look at customers’ work processes, which require the usual prerequisites of saving time and improving productivity. After using the product, now customers are giving feedback and report significant savings. In the past year, Newforma has not only attracted an impressive customer base but also a number of resellers and systems integrator partners. They have over 17,000 seats under license, with customers indexing 49,000 projects. 47 of the top 200 A/E firms are using Newforma products. These relationships enrich the functionality of the Fifth Edition release. Newforma is working with integrator partners Deltek Vision, Sepialine and Oce. From those associations, Newforma is being referred to their customers for workflow integration. Reseller partners include Smart Software in Australia and New Zealand, the AMR Group in Canada, and some others to be announced. Markup Sessions activity center showing all current markups, including comments captured as the problem is resolved. 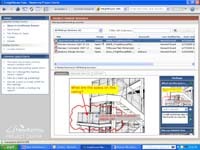 Since SharePoint is a common tool used on a number of customer sites, it made sense for Newforma to offer high value educating customers to what they can develop in a SharePoint environment along with all the dynamic project information and iterative design process information they can manage in Newforma. Newforma Fifth Edition recognizes SharePoint libraries from search capabilities and has visibility to project logs, project wikis and project sites built on SharePoint. With Sepialine, Newforma has worked to establish smarter defaults so that when somebody does something that’s potentially reimbursable on a project, Sepialine’s Argos cost recovery software works with the current cost recovery software from Newforma to establish the defaults for billing and cost recovery. sent to whom for what purposes from Oce Publisher. It also allows you to preview the plot ready format. The new contract administration (CA) module in Fifth Edition features improved support for managing submittals, email management search and support for logging and tracking of requests for information (RFIs). Bob Batcheler said that email management search and transmittals are the origins of savings reported by customers. In the new release, a submittal or RFI can be generated from an incoming email in Microsoft Outlook, received via Newforma Info Exchange or entered into the RFI activity center. RFIs can be logged, assigned, tracked and captured in reports. Combining business and project process is key when sharing with external project team members. Newforma Info Exchange now supports external team involvement featuring action items and the sharing of updated project documents via the Project Folders activity center. Project team members can post a file folder to Newforma Info Exchange, then designated external team members will be notified about the file folder, and can respond or upload their own related files. The idea is that both internal and external team members can work with a common operational model, seamlessly republishing and receiving revisions. 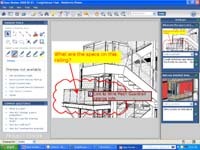 technical project information for project managers. An important function of Newforma is the ability to be able to extend BIM by being able to compare views of the model, and compare submissions from consultants. 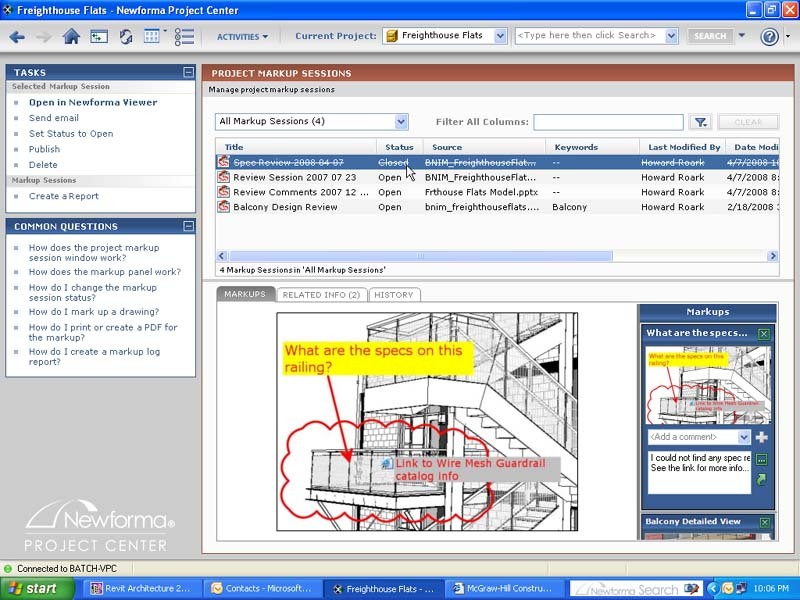 Some of this functionality was already in the Fourth Edition but it has been enhanced in the Fifth Edition to include enhancements to My Project Center, the product’s project monitoring capability, and the new project timeline feature which integrates back to Deltek Milestones where the project plan is created. You can find the full AECCafe event calendar here. -- Susan Smith, AECCafe.com Managing Editor.